The Certified Translation Professional (CTP) Program is a 100% online based translator training and certification program which can be completed in 3-5 months. To complete this program you must pass our online examination which tests your translation industry and language-specific knowledge. 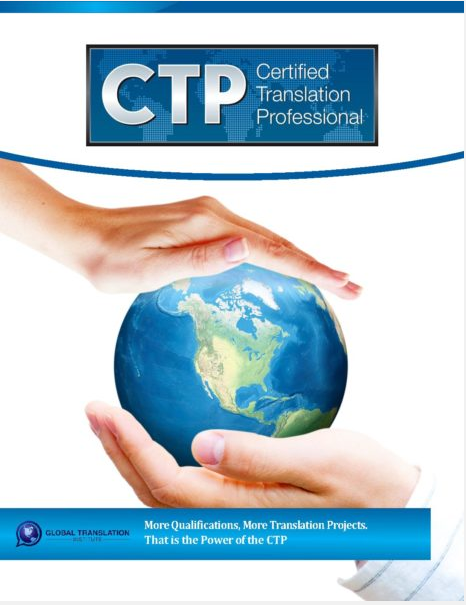 The CTP Designation Program is currently available for 22 different language pairs. The translator can obtain a certification From English into: French, Chinese (Mandarin), German, Italian, Russian, Spanish, Arabic, Portuguese, Bulgarian, Hungarian, Japanese, Greek, Korean, Polish, Dutch, Irish, Romanian, Hindi, Thai, Indonesian, Punjabi, and Danish. 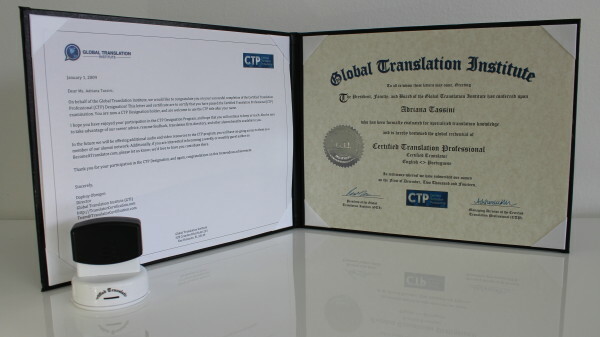 The Certified Translation Professional (CTP) is a leading certification program designed exclusively for those professionals who want to work in the translation industry. Being the leading company we have 2,400 trusted CTP designation holders within this space and another 29,000 member Group. This course is modeled after many online courses offered by Ivy League institutions. The CTP Designation is a self-study program and the exam is administered online from your place of work or home. Through out this course you will also learn how to avoid common mistakes while working in the field as well as how to start your own Translation Company. The course is Based on the Translator Training Text Book. As such students are tested on their knowledge of the book along with their translation skill in order to earn their designation. The CTP provides the translators with the capabilities to gain qualifications and credibility in the translation industry.